The Fourth Annual Lavender Graduation Reception is open to all graduating LGBTQ students in all departments. 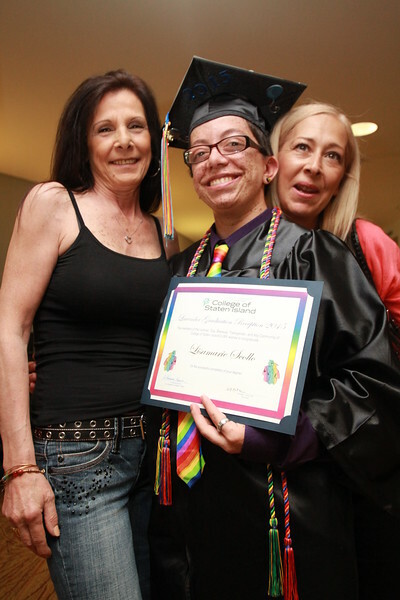 In its fourth year, the Lavender Graduation Reception is a special graduation ceremony that honors the achievements of graduating lesbian, gay, bisexual, transgender, and queer students at the College of Staten Island. It provides a safe space to honor those graduating students, not only for their scholastic achievements, but for their successes, challenges, obstacles, and achievements navigating their time at CSI as a member of the LGBTQ community. Students are honored not only for what they have accomplished, but for being who they are. Photos by Robert King Kee.